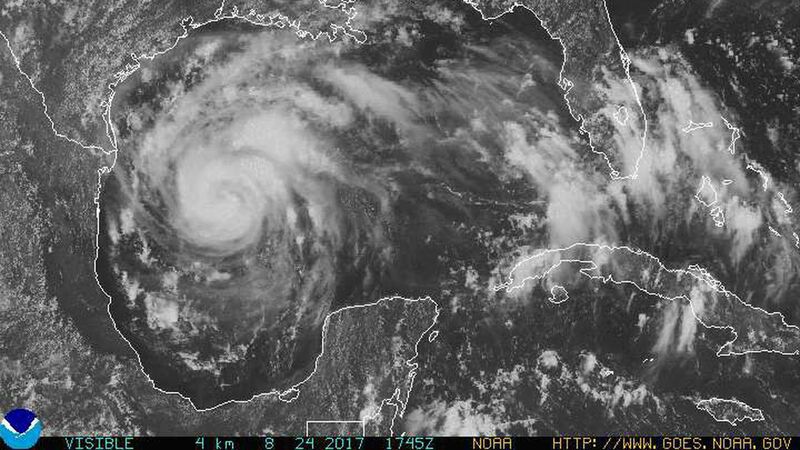 Harvey officially reached hurricane status in the Gulf of Mexico this afternoon after a period of rapid intensification, setting the stage for the first landfall of a major hurricane in the United States since Hurricane Wilma in 2005, per The Washington Post's Capital Weather Gang. Where it's headed: Harvey's expected to show up somewhere along the Texas coast on Friday night. The biggest city in the hurricane warning zone is Corpus Christi (population: ~325,000), but it looks highly possible that Houston will receive historic rainfall. The biggest impacts: The rain from Harvey is the biggest threat as the storm is expected to stall out on the Texas coast for days, causing some weather models to predict over four feet of rain in certain areas. With predicted winds of 115 mph and a storm surge of 6 to 12 feet, there's the possibility for 900,000 people across Texas to lose power.